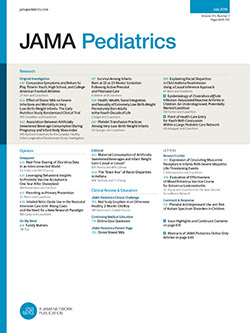 To the Editor Because the control of measles is an important public health concern, we wish to highlight caveats regarding the Research Letter by Majumder et al1 recently published in JAMA Pediatrics. In this letter, the authors derived an effective reproduction number of 3.2 or higher for measles in California based on a recent outbreak. These estimates of the effective reproduction number were biased by an observation process that has focused entirely on a large transmission chain. When only large chains of transmission are included in the analysis, the observed size of transmission chains is overestimated and, thus, the effective reproduction number is overestimated.2 A crowded theme park must offer tremendous scope to transmit one of the most contagious diseases known and one cannot extrapolate Disneyland to the rest of the country. Therefore, the effective reproduction number computed from transmission in a crowded setting may be larger than that for the population on average. Caution is needed to interpret the significance of the results from the Majumder et al1 letter for the country as a whole. Indeed, given the persistent efforts of public health departments to maintain high vaccine coverage, the 50% to 86% range of vaccination coverage seems far too pessimistic.